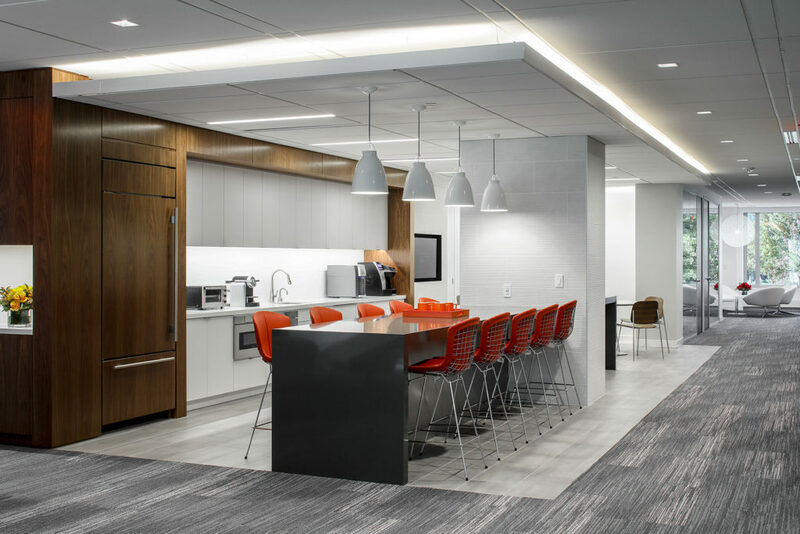 Studio 1200 has completed its design of JLL’s new office space in Parsippany, creating what it says is a classic yet contemporary workplace for the real estate services firm. 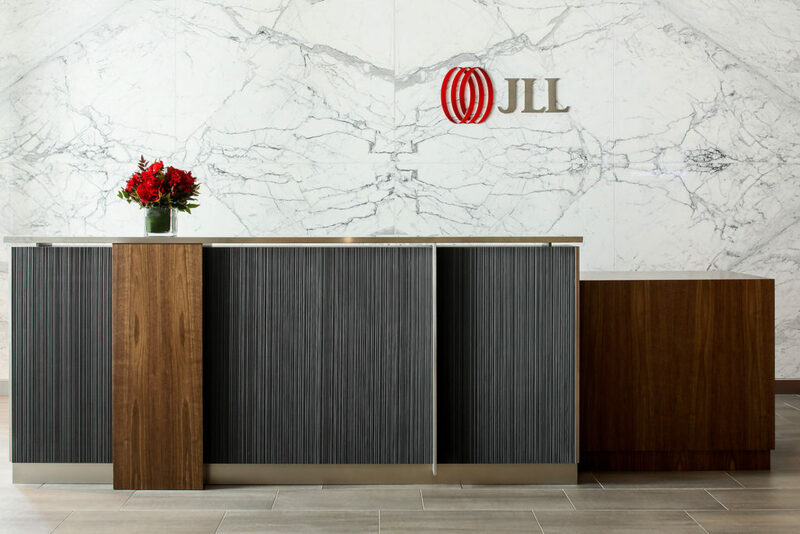 The Millburn-based design firm said JLL “committed to making some bold changes” at the new 13,300-square-foot space at 8 Campus Drive. In carrying out the project, Studio 1200 said it navigated a short time frame, an awkward triangular reception area, a deep floorplate and a desire for more natural light. 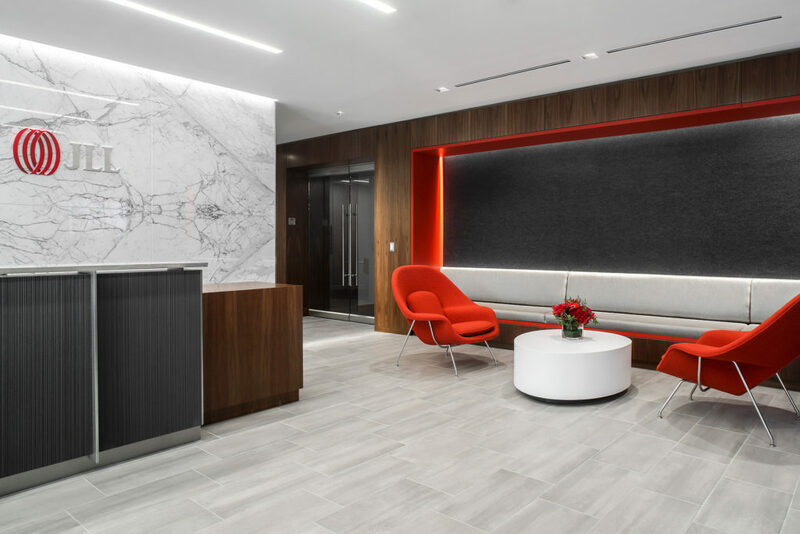 Features include a reception area that incorporates timeless furniture and finishes, centered by a dramatic reception desk and marble wall, Studio 1200 said in a description of the project. 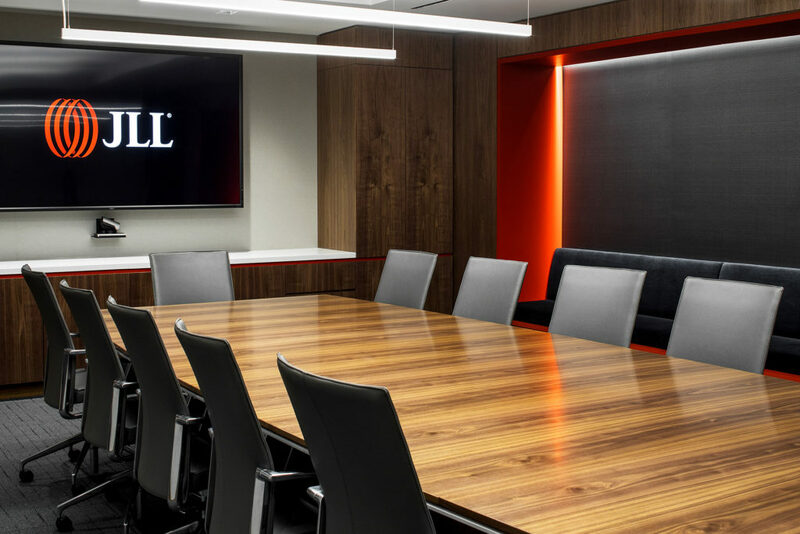 Custom built-in furniture solved the awkwardness of the triangular layout, while pops of JLL’s signature red were woven throughout the space. Adjacent to the reception area are the board room and some smaller conference areas, anticipating the flow of frequent visitors by eliminating the need to pass through the main workspace. 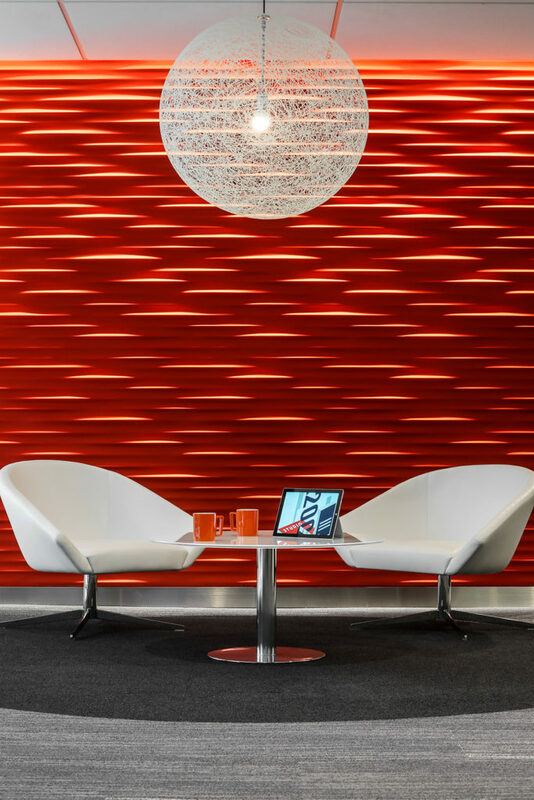 The Studio 1200 design team was led by Sandee Markwith and Susan Menk. The firm touted other features, including private offices with large windows and glass walls that occupied two sides of the perimeter, allowing for more natural light to flow through to the center of the space. 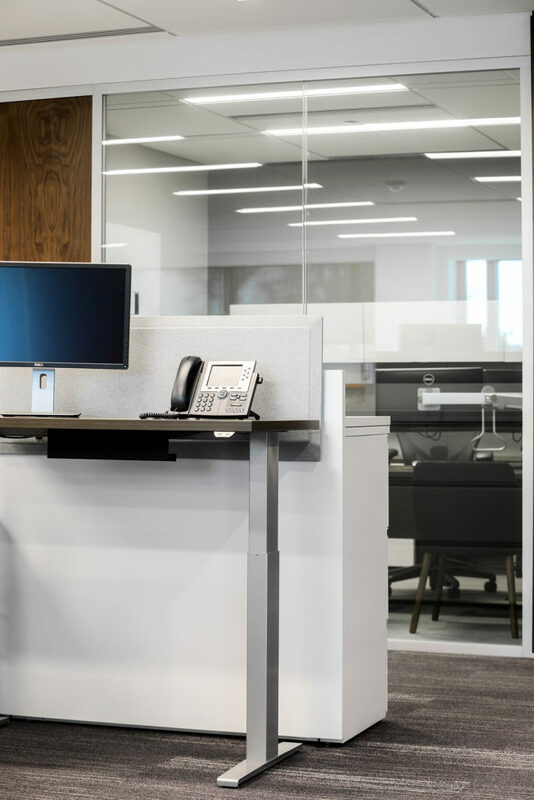 Meantime, JLL provided sit/stand desks for every employee. 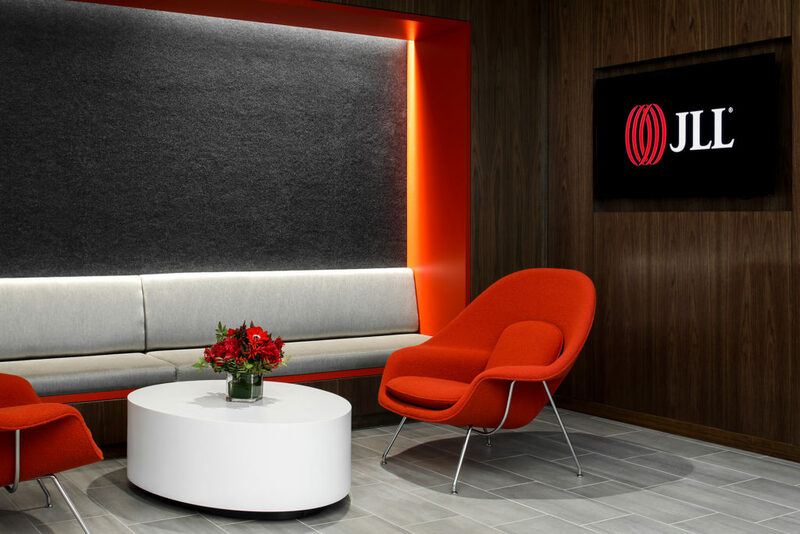 The design also included collaborative areas for team members centered on a circular rug and red wall that references the “JLL World mark” logo. 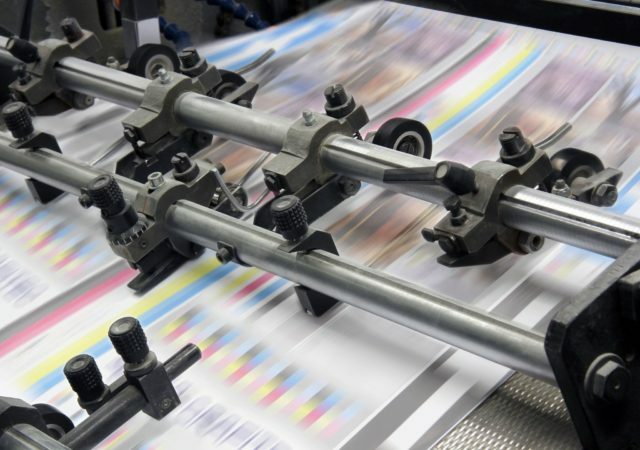 Dual purpose panels provide the choice of white board or a video screen for the meetings. 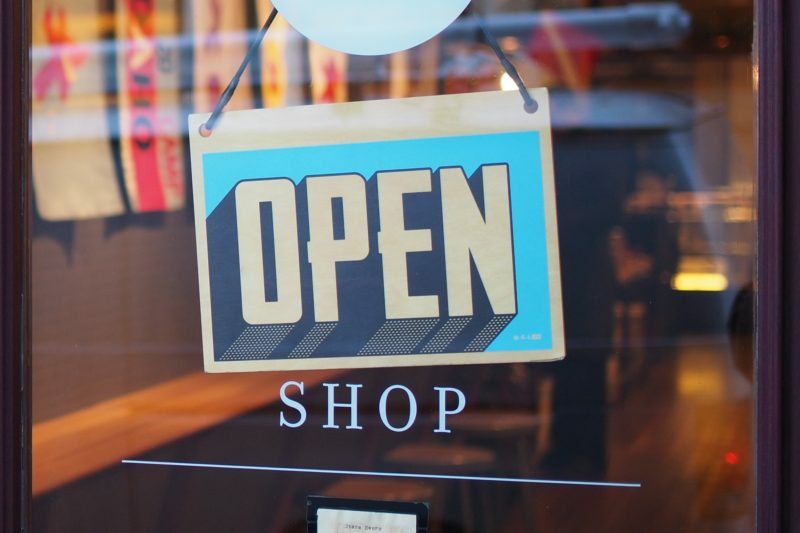 Finally, Studio 1200 said the office layout flows naturally around the central core open pantry. 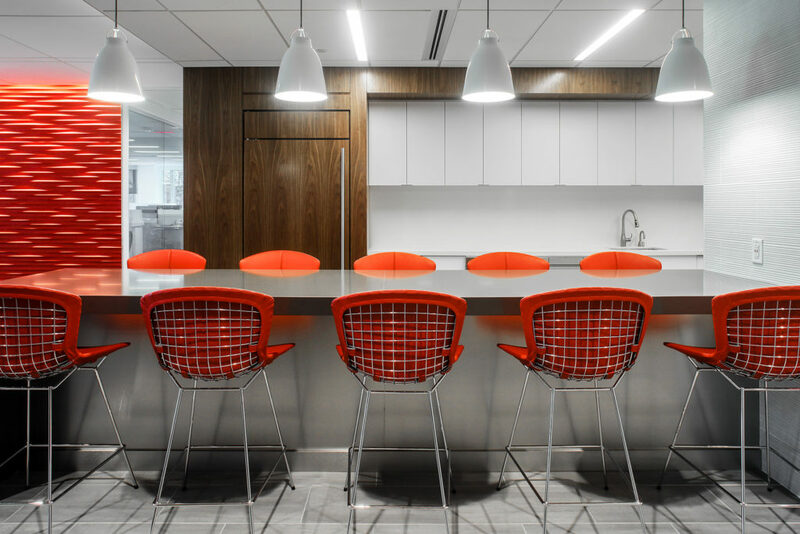 Frequented as a gathering space for employees and clients, the pantry’s natural wood finish and classic chairs create a welcoming area.